Betty L. Buffone, 86, of Waverly, passed away Monday January, 15, 2018 at the Robert Packer Hospital. Born September 7, 1931 in Barton, NY the daughter of the late Marion (Bruster) and Leslie C. Hoffman and loving wife of the late Charles A. Buffone. She was also predeceased by her son, Frederick Buffone and her brother Norman Hoffman. Betty was a graduate of Owego Free Academy. She was a true homemaker who loved her family and especially the grandchildren. 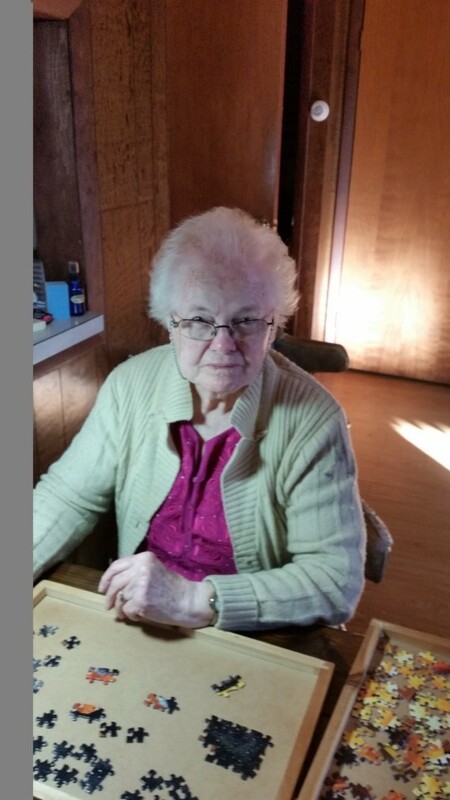 Betty enjoyed Quilting and jigsaw puzzles and was very accomplished at upholstery doing work for many in the valley as well as teaching classes. Betty was a lifelong member of the North Barton Grange where she served as the secretary for forty plus years. She also worked for the Board of Elections for well over twenty years and a former member of the Sons of Italy. Surviving Betty are her children; Carol (Len Downes) Buffone, Debi Adams, Lisa and Larry Brooks, and Michael Buffone, her grandchildren ; Amanda and Kristen Brooks and Andrew and Joseph Buffone , her brother and sister in law, Harry and Barbara Hoffman, sister in law Joyce Hoffman as well as numerous nieces and nephews and cousin Marie McAfee. Family and friends are invited to call Thursday January 18, from 4:00 to 7:00 pm at the Luckner Funeral Home 449 Park Avenue Waverly, NY. A Funeral Service will be held at the funeral home Friday January 19 at 11:00 am at the funeral home. Burial will be in the spring. In lieu of flowers donations can be directed to Foundation Fighting Blindness, Stray Haven Humane Society or a charity of one’s choice. Please visit TheLucknerFuneralHome.com to offer your condolences.